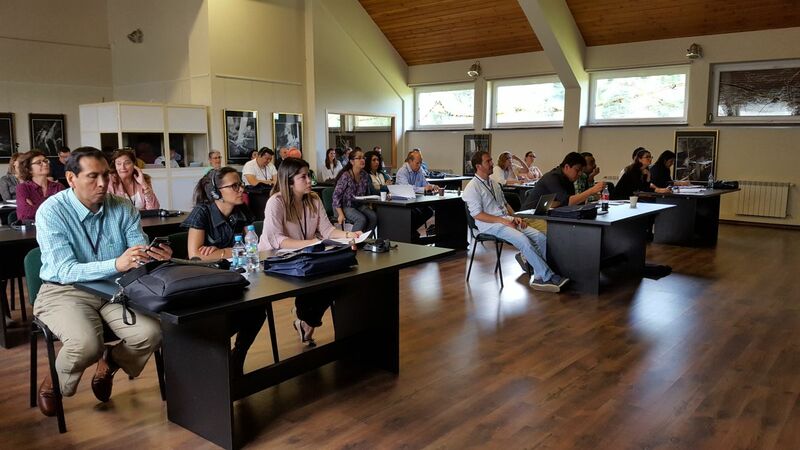 From June 4 to June 10, the Auschwitz Institute for Peace and Reconciliation held the 2017 edition of the Raphael Lemkin Seminar for the Latin American Network for Genocide and Mass Atrocity Prevention in Poland, with the support of the UN Office of the Special Advisers on the Prevention of Genocide and on the Responsibility to Protect (OSAPG), the Centre for Dialogue and Prayer in Oświęcim, the International Holocaust Remembrance Alliance (IHRA) and the Auschwitz-Birkenau State Museum. This year, AIPR had the pleasure of welcoming 21 participants from member states of the Latin American Network to the weeklong training. 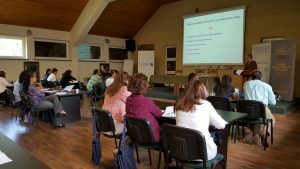 As with previous versions, the seminar’s agenda was divided into thematic days. Monday and Tuesday were dedicated to the “power of place” at Auschwitz. Dr. James Waller, AIPR’s Director of Academic Programs, presented an introduction to the concepts of genocide, atrocity crimes, and prevention, as well as historical modules. Participants then embarked on guided study visits of Auschwitz I and Auschwitz II-Birkenau. 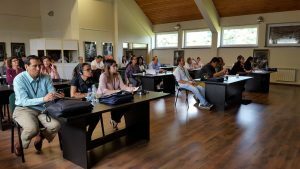 The third, fourth, and fifth days of the seminar focused on approaches to prevention before, during, and after conflicts have taken place. 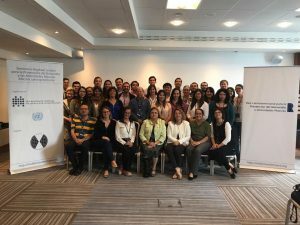 These three days included modules led by representatives of OSAPG and AIPR, as well as experts in gender-based violence, transitional justice, and transnational crimes. Dr. Waller delivered his “Becoming Evil” module as well as other presentations on risk factors, the gap between early warning and early response, and memory, truth and justice. Dr. Tibi Galis and Dr. Kerry Whigham also made presentations on transitional justice and the role of Memory and Memorialization in this process. The seminar finished with a Capstone Simulation exercise, led by Dr. Waller and Dr. Galis. This module allowed participants to revisit and apply the concepts, actions, and best practices that had been discussed throughout the week.